Law360 (February 21, 2019, 7:20 PM EST) — A Florida attorney and the federal government on Wednesday clashed over fees for accessing certain documents through PACER, with the attorney arguing they amount to a breach of contract and the government saying while court opinions are usually free, it’s up to the judge to determine what constitutes an opinion. In dueling briefs, Theodore D’Apuzzo, the Fort Lauderdale litigator who brought the action, and the government clashed over a central question of whether a contract or implied covenant was established between the government and users of the Public Access to Court Electronic Records, and what duties, if any, are owed to users with respect to access to opinions. The government countered that no such valid contract exists between the government and people accessing court documents through PACER, and any supposed duties owed to PACER users under the alleged contract are without basis. “While plaintiff alleges that the PACER registration process is an online agreement, it is not a valid contract because it is insufficiently definite,” the government argued. Furthermore, while the E-Government Act of 2002 mandates that written opinions should be made available for free, the government argued that there is no clear uniform guidance as to what constitutes a written opinion and authoring judges have discretion determining what qualifies as an opinion. Even if the court finds a valid contract exists between PACER and its users, the government argued, that does not mean the government would be required to undertake new duties, such as standardizing the process by which documents are labeled opinions. “That opinions are provided without charge does not require the government to take unspecified ‘steps’ to ensure that ‘[Case Management/Electronic Case Files] websites’ use the ‘same methods’ for designating documents as opinions,” the government’s brief said. D’Apuzzo initially filed his suit in November 2016, arguing individual judges and their staffs are responsible for designating documents as “judicial opinions,” resulting in inconsistencies and PACER users having to improperly pay for access. He pointed to several documents that he said had wrongly racked up PACER charges, including a 29- page opinion granting a motion to dismiss from the bankruptcy court in the Eastern District of Michigan, a memorandum opinion and order from the District of Columbia, and opinions from the Southern District of Ohio and the Middle District of Florida. Each of the documents was referred to specifically as an “opinion” but was not made available for free, D’Apuzzo claims. The parties filed cross-motions for summary judgment in December. “We as the plaintiff feel good about our position and we can only hope the court will agree, as we believe the public does have a right to free access to federal court opinions and that this is an important right worthy [of] fighting for,” Douglas J. Giuliano, counsel for D’Apuzzo, wrote in an email on Thursday. Counsel for the government did not immediately respond to a request for comment. A separate class action lawsuit that could have profound implications for PACER fees in general is now before the United States Court of Appeals for the Federal Circuit. In that action, originally filed in 2016, three nonprofit groups alleged that the judiciary overcharged PACER users and unlawfully used fees collected through the system for expenses other than maintaining the online documents portal. A federal district judge partially agreed in March and found that some $198 million in PACER fees were misapplied to projects that did not enhance public access to court documents, in violation of the E-Government Act. The nonprofit organizations have received the support of former U.S. Sen. Joseph Lieberman, who sponsored the E-Government Act, as well as seven retired federal judges and a host of media advocacy and legal organizations. In a Feb. 7 editorial titled “Public Records Belong to the Public,” The New York Times also championed their cause. “The government’s practice of charging fees to access court documents that are greater than the costs of making those documents accessible is at odds with the text, history and purpose of the E-Government Act,” Lieberman wrote in an amicus brief. 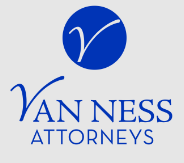 D’Apuzzo is represented by Nicole W. Giuliano and Douglas J. Giuliano of Giuliano Law PA and John Anthony Van Ness and Morgan L. Weinstein of Van Ness Law Firm PLC. –Additional reporting by Carolina Bolado, Dave Simpson, RJ Vogt and Emma Cueto. Editing by Michael Watanabe. It is becoming increasingly clear that the voluntary dismissal of a case in which a foreclosure plaintiff lacks standing does more harm than good. A defendant in such a case may claim an entitlement to prevailing party attorney’s fees. Though it may sound illogical, under such circumstances it may make more sense for a plaintiff to take the case to trial and force the borrower to prevail on their argument regarding standing, as a means to prevent the borrower from accessing attorney’s fees. If a contract contains a provision allowing attorney’s fees to a party when he or she is required to take any action to enforce the contract, the court may also allow reasonable attorney’s fees to the other party when that party prevails in any action, whether as plaintiff or defendant, with respect to the contract. This subsection applies to any contract entered into on or after October 1, 1988. Plaintiffs had argued that borrowers who claimed a foreclosure plaintiff lacked standing were incapable of access to this statute, because a plaintiff who lacks standing with respect to a note and mortgage is not a party to the note or mortgage. This argument gained traction, and courts began to explain that where there is no standing for a foreclosure plaintiff, there is no access to reciprocal fees for a borrower. In this case, HSBC voluntarily dismissed its complaint, thus rendering the homeowner the prevailing party for purposes of attorney’s fees. Notably, the trial court never made a judicial determination that HSBC or the homeowner was not a party to the contract. Additionally, HSBC maintained in its complaint a right to enforce the contract. If it had been demonstrated that plaintiff lacked standing, there would have been room to argue that the borrower was not entitled to the reciprocal fees provision contained in section 57.105. In other words, forcing the borrower to have their day in court and prove their defense could have resulted in a better outcome for the plaintiff. 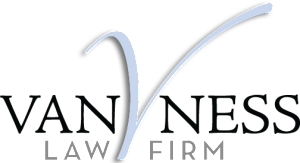 A new matter has come to our firm which is strikingly similar to another recent case we had. The borrowers are alleging fraud based on “new evidence” discovered after an expert reviewed the loan documents. In this case, an eight year old assignment from MERS was the allegedly fraudulent conveyance despite the fact judgment was entered three years earlier. They are attempting to vacate judgment and sanction all parties supported by an attorney expert affidavit(s). In the other case, a separate suit was filed by the borrowers for fraud based on allegedly forged loan documents (note, mortgage, etc.) after an expert review. This review was performed about four years after entry of judgment and they had lost their appeal. One would think the borrowers would have used that defense the first time around if they did not sign the loan documents. Our firm was successful in procuring dismissal of the latter claim, as well as sanctions against the borrowers by virtue of a 57.105 motion pursuant to the Florida Statutes. Both of these cases seem to be part of an emerging trend as the cases and attorneys are unrelated but the logic is unique. We have learned that other law firms have seen the same types of tactics recently with the use of post judgment expert review on cases already adjudicated. Any legal practice area with sufficient volume goes through litigation trends. In foreclosure, there have been trends with regard to standing and conditions precedent, amongst other pleading rules and requirements. As the defense bar attempts to take various, new positions in foreclosure cases, precedent gets developed once trial court cases move through the appellate process. Where the causes of action are different, the doctrine of estoppel by judgment comes into play, in which case the parties are precluded from relitigating matters actually litigated and determined, but only those matters, and not matters which were in fact not litigated in the former action, even though such matters might properly have been determined therein. Thus, before a litigant is barred under the doctrine of estoppel by judgment, it must appear that the points or questions involved in the subsequent action were determined in the prior action. Green v. State, 412 So. 2d 413, 414 (Fla. 3d DCA 1982). Courts enforce these bars to litigation because there is an interest to there being an end to litigation and an ultimate point of determination. In other words, it is a disservice to the law to allow the finality of judgments to be diminished. Borrowers attempting to use expert testimony to revive cases that have reached their final conclusion may be blocked by the doctrines of res judicata or estoppel by judgment. What’s more, the conduct of this attempted expert testimony may be sanctionable, pursuant to section 57.105, Florida Statutes. An aggressive approach to terminating this litigation may ebb the trend of borrowers’ counsel employing these particular experts in cases that have been concluded.